Digital cameras once changed the way we perceive photography and organize our photo albums. The affordability of flash media resulted in numerous memory cards being brought from any trip and, consequently, the necessity to sort hundreds or thousands of images manually. Nonetheless, keeping all the images may not be a great idea due to their number and size. A couple of nice shots from a series of several dozen similar ones may well suffice for keeping you precious memories. But how do you pick out several shots of your safari rides made on different days from different angles from a huge photo archive? If you don't want to think about meticulous file-by-file categorization of your photo album, you may want to use a tool that will do this job for you - the brand-new Image Comparer 3.0! Bolide Software Team is glad to announce the release of Image Comparer 3.0, an image comparison application intended for a wide scope of users - from amateur camera owners to professional photographers, graphic designers and webmasters working with large image archives containing thousands of items. The third version of Image Comparer has been written completely from scratch to offer users a unique mix of features and performance improvements that were not available in the previous version. Initially intended for detection of duplicate images, Image Comparer is by no means limited to this function only. Based on a unique proprietary image comparison algorithm, the program searches for similar images and compares their content using a similarity threshold specified in the program settings. This enables users to search for both exact duplicates and slightly modified images. This may come extremely handy for photographers making several images in the burst mode in numerous sessions. Using Image Comparer, they can detect these groups of shots and select the ones that best relate to the reference shot. Webmasters of large traffic-intensive sites will also find these features useful, as the program will help them detect duplicate images, free the necessary disk space and organize the site folders for easier and more efficient maintenance. Unlike other applications of the similar type, Image Comparer makes no distinction between files of different formats, cross comparing files of the following formats: RAW, JPEG, J2K, BMP, GIF, PNG, TIFF, TGA and other. The program also features flexible grouping tools that allow users to easily select groups of detected similar images and work with them independently. For this purpose, Image Comparer supports galleries - sets of images which can be compared against one another. Also, users can compare images within galleries to improve final comparison accuracy. The result of each comparison is the similarity ratio for each pair of compared items and a Top 10 list of similar images for each item. The comparison algorithm that underlies the functionality of Image Comparer is incredibly fast. It takes the program mere minutes to scan large image archives and identify duplicate images and show the user a report on the disk space occupied by them. Duplicates can then be deleted with a single mouse click. Alternatively, the user can specify exactly which images should be deleted, moved or copied to another location. The improved comparison algorithm also supports sorting and grouping by quality, so as to enable users to pick out the images with the best quality and copy/move them to a separate folder. In a nutshell, Image Compare is a handy image comparison program that will become a welcome addition to the toolkit of anyone dealing with images and digital photography. With Image Comparer 3.0, you will see the real difference! Image Comparer 3.0 is available for as low as $34.95. Further information on Image Comparer 3.0, FAQ's, as well as its free downloadable 30-day trial version is available from: https://www.bolidesoft.com/imagecomparer.html. Note that the trial version identifies duplicates, but does not allow to move, delete or relocate them. The products can be purchased from SWREG or Avangate, the official distributors of Image Comparer 3.0. Major credit cards, PayPal, fax, mail and phone orders supported. Bolide Software team is a small group of developers specializing in multimedia applications, system tools and useful utilities for Windows. Despite being a small company, the team has strong programming skills, solid development experience and the desire to create products that their customers will truly enjoy. NOTE TO EDITORS: Please, let us know if you have questions or would like any additional information on Bolide Software products. 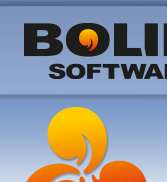 Contact Max Smirnoff at press@bolidesoft.com to get more information. Full functional versions of the products are available upon request to all editors considering a review. Image Comparer - Thank you! "I have been a happy user of Image Comparer for several months already and like it a LOT!!!! You see earlier I used to spend hours comparing photographs and choosing the best! And when I tried Image Comparer, I was thrilled with the speed!!! It's awesome!!! Thank you!"